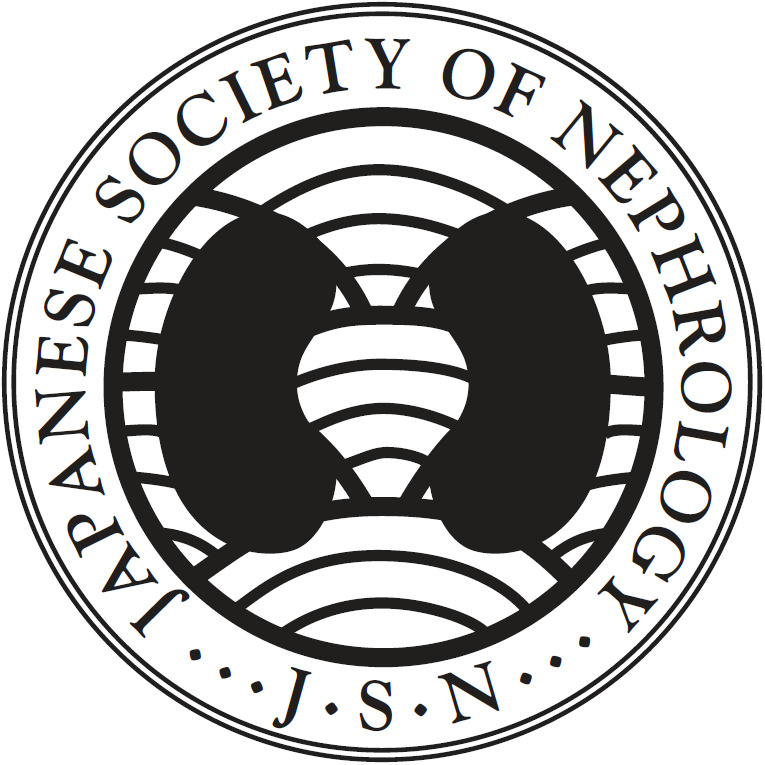 In 2014, tolvaptan, a vasopressin receptor antagonist, was approved for the treatment of autosomal dominant polycystic kidney disease (ADPKD) in Japan. Clinical trials of tolvaptan revealed frequent occurrence of the liver function abnormality. According to the package insert in Japan, liver function tests should be performed once a month in patients receiving tolvaptan. Furthermore, immediate discontinuation of tolvaptan is recommended in the appearance of liver function abnormalities. Seven patients of ADPKD who was discontinued tolvaptan because of elevation of the serum liver enzyme levels were described in detail and analyzed. None of them fulfilled the criteria for applicability of Hy’s law, which predicts a high risk of severe, potentially fatal, drug-induced liver injury (DILI). 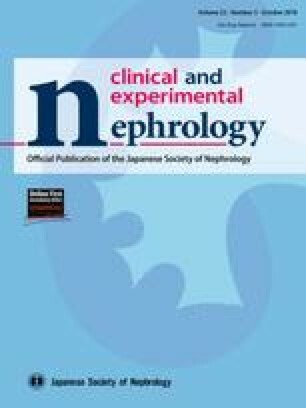 In our patients, the rate of increase of total kidney volume (TKV) significantly decreased during tolvaptan administration, but increased after discontinuation; in Cases 1–5, mean annual growth rate of TKV during administration was − 10.15%/year, and during discontinuation was + 23.72%/year. After the serum liver enzyme levels returned to normal range, tolvaptan was resumed in six patients with informed consent. Except one patient, tolvaptan has been continued without increase of the serum liver enzyme levels. In patients with mild elevation of the serum liver enzyme, as is less than three times the upper limit of normal (ULN), resumption of tolvaptan may be considered after the serum liver enzyme levels return to normal range. We express our sincere appreciation to all the patients, collaborating physicians, and other medical staff for their important contributions to the study. This study was supported in part by a Grant-in-Aid for Intractable Renal Diseases Research, Research on rare and intractable diseases, Health and Labor Sciences Research Grants from the Ministry of Health, Labor and Welfare of Japan. All procedures performed in studies involving human participants were in accordance with the ethical standards of the institutional and/or national research committee at which the studies were conducted (IRB approval number 140807) and with the 1964 Helsinki declaration and its later amendments or comparable ethical standards. SAMSCA® (tolvaptan) Package insert [in Japanese], revised Mar 2017. 2018. http://www.info.pmda.go.jp/downfiles/ph/PDF/180078_2139011D1022_1_01.pdf. JINARC™ (tolvaptan) Product Monograph, Otsuka Canada Pharmaceutical Inc. 2018. http://otsukacanada.com/docs/default-source/default-document-library/jinarc-pm-en-23feb2015_final.pdf?sfvrsn=2. United States Food and Drug Administration. Guidance for industry, drug-induced liver injury: premarketing clinical evaluation. 2014. http://www.fda.gov/downloads/Drugs/GuidanceComplianceRegulatoryInformation/Guidances/UCM174090.pdf. Accessed 11 Feb 2015.